his is the first Sanctuary to be set up in India and forms part of the Jawharlal Nehru National Park. 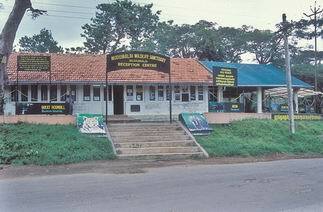 It is located 36 kms from Ooty from Kalhatty and 67 kms via Gudalur. From Mysore it is 91 kms away. This Sanctuary extends over an area of 321 sq.kms in the junction of the three states of Tamil Nadu, Karnataka and Kerala. It is at an elevation of 1,140 mtrs. A variety of habitat ranging from tropical evergreen forest, moist deciduous forest, moist teak forest, dry teak forest, secondary grasslands and swamps are found here. It is rich in wildlife, like Elephants, Gaur, Tiger, Panther, Spotted Deer, Barking Deer, Wild Boar, Porcupine etc., birds like-minivets, hornbill, fairy Blue Birds, Jungle Fowls etc., and reptiles like python, Monitor Lizards Flying Lizards etc., You can take a ride into the jungle on elephant back or take a vehicle ride along designated visitor’s route inside the jungle. 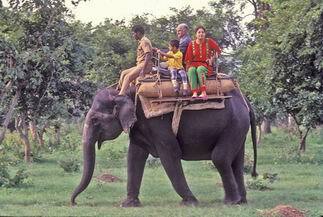 The elephant rides have to be booked at Ooty. The Mayor river and the life around it is an experience by itself. 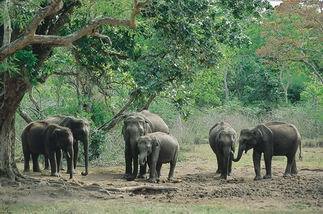 The Theppakadu elephant camp is popular tourist attraction.